The Classical Association of the Atlantic States announces the availability of grants to high school students who wish to participate in a program that enriches their educational experience and deepens their connection to Classics. Eligibility: Open to all high school students enrolled in grades 9-12. The project must be concluded before grantees begin their post-secondary education. Amount: Up to three grants will be awarded annually with each award having a maximum of $5000. The total amount of all awards will not exceed $10,000 annually. A one-year membership to CAAS will be awarded to the winners’ recommending teachers for the next membership year. The deadline to apply is December 15, 2015. 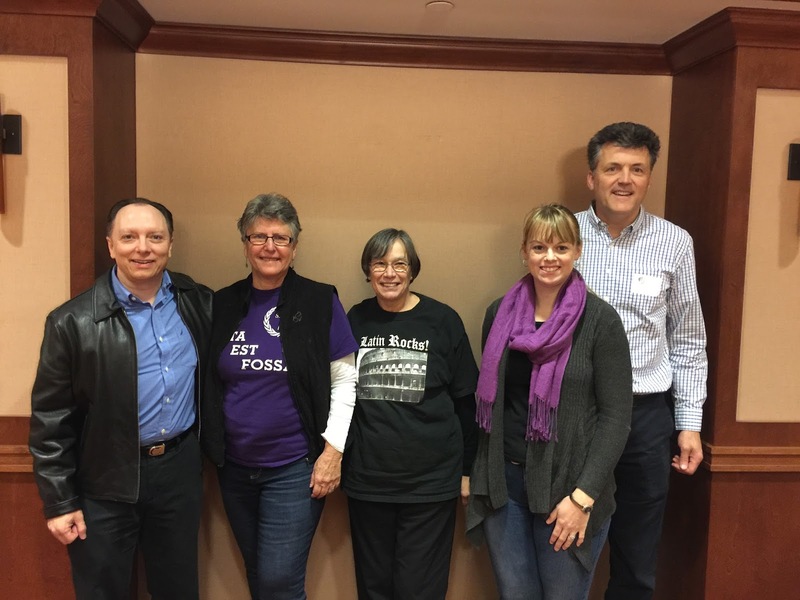 David Pellegrino, Treasurer; Peg Minnick, Recording Secretary; Susie Scoppa, Corresponding Secretary; Kitrina Finlayson, Vice President; John Mooney, President. Thank you to the officers and all of the board members for their service to CAES, and to our profession. Maximas gratias vobis agimus! Please visit the CAES Board page for the full list of members. The 52nd Annual Institute is off to a great start! If you can't be here in person, you can still follow the action... via Twitter. Please follow us and start re-tweeting! It's not too late to register for next weekend's 52nd Annual Institute! The Institute officially kicks off the evening of Thursday 10/22, at the Crowne Plaza Syracuse with the Plenary Session, followed by the President's Reception. On Friday morning the sessions begin in earnest, followed by a luncheon, and then the afternoon workshops. Attendees are encouraged to explore Syracuse Saturday afternoon, after the workshops end for the day. To help you plan your outing, Visit Syracuse has provided some materials for you to take when you arrive. 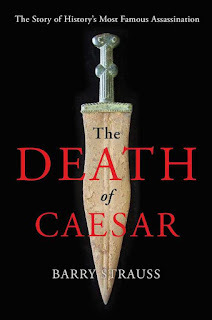 Friday evening's banquet features a keynote by noted historian, classicist and author Barry Strauss of Cornell University. Saturday morning features even more sessions. The conference adjourns by lunch time, leaving plenty of time to enjoy Syracuse, or travel home. Our emporium exhibitors include Bolchazy-Carducci, who will have an impressive display of publications and materials, as well as their free Roman calendar/catalog. This is your chance to get your hands on their many unique offerings, rather than just reading descriptions in a catalog. Please be sure to visit their representative, Don, and say "Salve!" Whether you plan to come out for a day, or make a weekend of it, the Annual Institute is a one-of-a-kind event in New York State. Please check out the final program, and be sure to register soon. We hope to see you in Syracuse. Please don't delay in registering. There are various registration options, as well as payment options. You can register online and choose to pay online, to mail payment, or even to pay at the door. Regardless of which you choose, please register soon. The Comparative Literature Department and the Italian Specialization at the Graduate Center, CUNY, are holding an interdisciplinary symposium, Si Canimus Silvas, on October 2nd. This symposium is the product of the extensive conversations on the history, theoretical framework, and future directions of the pastoral genre that have been held among students and faculty originating from a diverse array of disciplines, including Classics, Renaissance Studies, and 19th and 20th century European, North American and Latin-American literatures. Our facilities chair, Ellyn Bibik, has been working with the Crowne Plaza and has managed to have them set aside a few additional rooms. There are now 10 rooms available for October 22nd and 5 rooms available for the 23rd. In addition, the reservation deadline has been extended through Sunday, September 27. If you are hoping to stay at the Crowne Plaza for the Institute, please call the hotel directly at 315-479-7000 and mention that you are a member of CAES. Ranieri Colloquium on Ancient Studies: "Telling Mesopotamian History: Bringing to Life the Stories of Cuneiform Writing"
NYU’s Center for Ancient Studies is organizing the Ranieri Colloquium on Ancient Studies for Thursday and Friday, October 22-23, 2015. The conference is entitled, “Telling Mesopotamian History: Bringing to Life the Stories of Cuneiform Writing” In Honor of Jack M. Sasson. The conference is presented by the NYU Center for Ancient Studies, in conjunction with the Skirball Department of Hebrew and Judaic Studies, the Institute for the Study of the Ancient World, the Dean of the College of Arts and Science, and Vanderbilt University and The Vanderbilt Divinity School. It is free and open to the public. The American Academy in Rome invites applications for the 2016 Rome Prize. Ranging from six months to two years, the thirty fellowships include a stipend, room and board, and individual workspace at the Academy’s eleven-acre center in Rome. 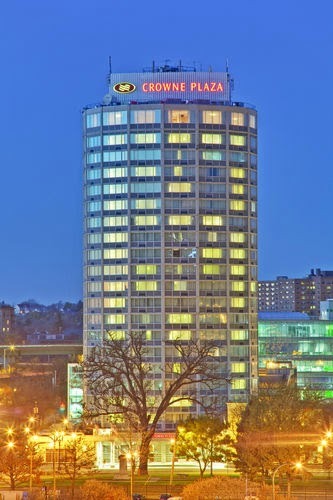 The reservation deadline for the Crowne Plaza Hotel in Syracuse is Monday, 9/21. If you have not made your reservation and intend to stay at the Crowne Plaza for the Annual Institute, you must do so by 9/21. After that date there will likely be no more rooms available at the venue due to an upcoming concert on 10/22. To reserve a room you must call the hotel at 315-479-7000 and identify as a member of CAES. A credit card is required to make the reservation, but it will not be charged at that time. In addition, you can still register for the Annual Institute itself. You have the option of registering and/or paying online, or via mail. Please visit the Institute page for additional information. Our Institute Planning Committee is proud to announce the program for the 52nd Annual Institute of the Classical Association of the Empire State. Attendees will receive a copy of the final program, complete with room information, when they pick up their registration packet upon arrival at the Institute. Please visit the Annual Institute page for information on the hotel, how to register with CAES, payment options, and much more. Shenendehowa Middle Schools in Clifton Park, NY is looking for a .6 Latin teacher for the 15-16 school year. Please see http://www.shenet.org/district/HumanResources/JobPostings/JOInstructional.html or OLAS to apply. If the listing is not visible, please contact Rachel Stead directly at 518-881-0381 or SteaRach@SHENET.ORG to inquire. I hope this summer finds you well and has been one of rest and rejuvenation. While many of us have not had to “go to work” each day in July and August, we all well know an educator’s work is never done. Summer can be a time of peace and relaxation, but it is also a time of reflection and, hopefully, inspiration. As vacation winds down I get enthusiastic for the fresh start of the new school year; I also look forward to the CAES Annual Institute that is just around the corner. The 52nd Annual Institute, Vitae Sal Amicitia,will be held at the Crowne Plaza in Syracuse (the Salt City), Thursday throughSaturday, October 22-24, 2015. Our planning committee has put together an outstanding program, with a variety of presentations for Classics educators of all capacities. New this year will be the “Hands On” series of workshops. Inspired by the feedback of our previous attendees, these workshops are designed to let participants get to work on things they can bring back to the classroom and use. Facilitators will present a very specific tech topic (e.g., Edmodo in the Latin Classroom), and participants can use their own laptop, tablet or phone to start creating materials and activities. Attendees in the past have also asked for more “unstructured” time for collaborating and sharing. To that end we have set aside two hours on Friday afternoon, prior to the banquet. People will have the opportunity to explore Syracuse on their own, have some down time, or continue working with colleagues on those things that have inspired them. Thank you for visiting the CAES website. Please consider subscribing for an automatic alert when information is updated (use the "follow CAES by e-mail" box on the right side of this page). A detailed program will be posted in September, and, if you subscribe to updates, you will receive it in your inbox. In addition, registration and payment may be made via the website. We look forward to seeing you at the Institute! P.S. To reserve a room at The Crowne Plaza - Syracuse with the CAES conference rate you must call the hotel directly at 315-479-7000. The Bronx School of Law and Finance, a small high school of approximately 430 in New York City, is searching for a creative, dynamic, caring educator to work with its diverse population of learners. There Is a Shortage of Certified Latin Teachers: Please Spread the Word! There is a shortage of certified Latin teachers in the United States. Latin teaching positions at the precollegiate level sometimes cannot be filled for lack of qualified applicants. In New York State, for example, where we both teach, in 2012-2013 and 2013-2014, Latin was named specifically as a language with a teacher shortage by the United States Department of Education Office of Postsecondary Education (http://tinyurl.com/mwgdr9j). Not filling a Latin position can result in one of several negative outcomes: the end of a Latin program, the inability to start one, or difficulty with sustaining one. None of these situations is good for maintaining strength in classics at the precollegiate level, where many of our students are first introduced to their excitement about our field. Mott Hall II is looking for a high-quality fully certified Latin teacher to teach grades 6-8. Mott Hall II is a small, nurturing, collaborative learning community serving a diverse population of 6th through 8th graders on Manhattan's Upper West Side. Mott Hall II is a wonderful community and we pride ourselves on our amazing teaching staff; we are equally looking for quality candidates who can meet or exceed our high expectations. Interested candidates should be motivated, collaborative, energetic and willing to align their teaching practices to Mott Hall II's instructional philosophy. Qualified candidates should direct their questions, resume and cover letter to Principal Marlon Lowe (mlowe5@schools.nyc.gov). There is a position available beginning August 31st teaching one section of Latin 1, 8th grade, at Bell Middle School in Chappaqua. Class meets for 55 minutes, 3 to 4 days per week. Textbook is CLC. Please contact Nicole Diamente for further details and application procedure. 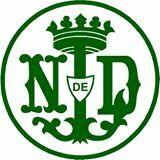 The Notre Dame School of Manhattan is looking for a full time Latin teacher to teach levels 1-3 (grades 10-12). Our school is a small, private, college preparatory high school for girls. It is with deep sadness that I notify you of the sudden passing of CAES Board member and friend, Joe (Joseph) Crisafulli. He suffered an unknown medical condition and died on a hiking trail near his home outside of Syracuse where his body was found in the afternoon on Tuesday, May 26th. He has dedicated innumerable years of his life in the advocacy of Latin and the Classics and he will be missed greatly. 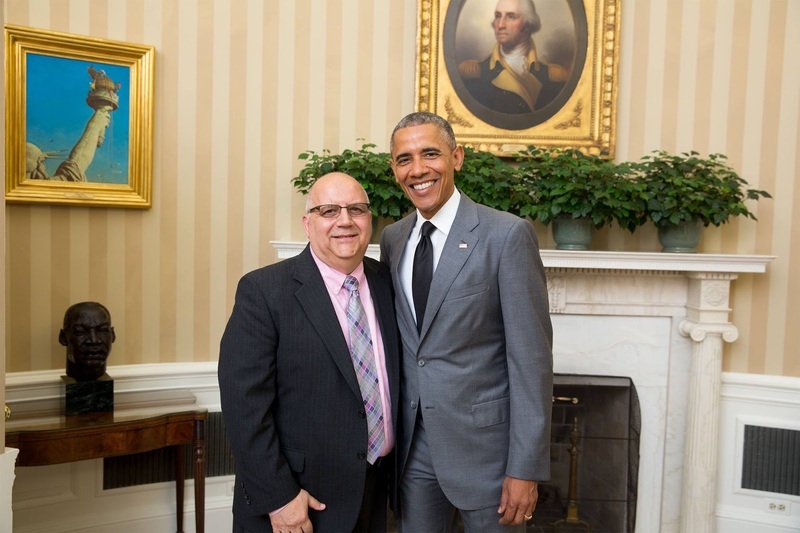 His dedication and willingness to do whatever he could to help others will be felt in every aspect of the CAES Institute in October as he has played a vital role in the planning and organizing of this upcoming Institute in Syracuse. I am sure there are many of you who have fond and cherished memories or pictures of Joe and you may want to share them with his family. The family has given their permission to share Joe and Josie's (his wife) address with you for this purpose: 8332 Zenith Drive, Baldwinsville, NY 13027. Below is a link to his official obituary with visitation and funeral service information if you would like to leave the family a message, send flowers, or make a donation to the charity of the family's choosing of St. Jude's Children's Research Hospital in Memphis, Tennessee. CAES is sending flowers and ATLAS is sending flowers and making a donation in his name. We are particularly interested in members who may wish to lead a 1-hour hands-on workshop on their favorite bit of technology that they use with students. Keziah Armstrong was recognized on the local NBC affiliate as "Top Teacher"! Also, Charlie Giglio (2015 NYS Teacher of the Year) made the cover of the May issue of NYSUT UNITED. POSITION: We are seeking results-oriented teaching candidates who exhibit strong leadership, thorough content knowledge, a reflective nature, the capacity for teamwork, and an appreciation for the discipline of teaching. 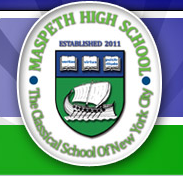 DESCRIPTION: Maspeth High School is a NYCDOE public high school, opened in September 2011, currently in its fourth year of operation (with grades 9-12). We offer a rigorous college preparatory education based in classical liberal arts and sciences with an interdisciplinary and humanities focus. Our instructional philosophy is that all knowledge is interrelated. Latin is offered for I-AP with Ancient Greek as an elective for seniors, and students are expected to follow a prescribed 4-year curriculum in Latin. Candidates may be required to teach any levels, following a curriculum based on the textbook Latin for the New Millennium. 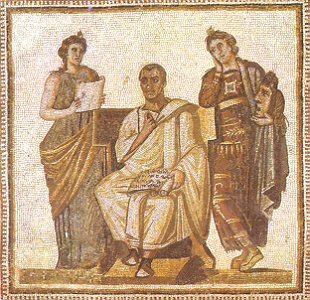 Perhaps you're a Latin teacher interested in undertaking some summer study this year; maybe you are planning to become a Latin teacher; perhaps you would like to let all of New York State know how great your district's Latin program is, or wish to thank a supporter of your program. If any of these are the case, then CAES may have a scholarship or award for you! The application deadline for several of these scholarships and awards is MAY 1st. Please follow the link below for more information, including detailed descriptions of the various awards and application information. 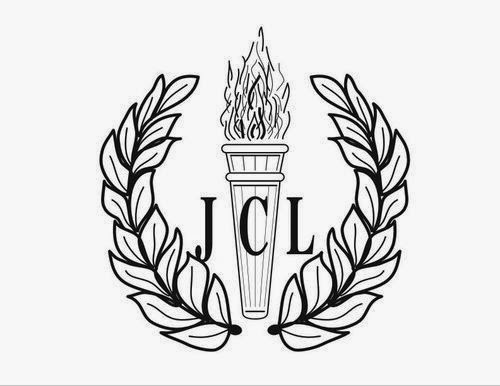 Pittsford Mendon High School in Pittsford, NY, will host a Certamen Tournament for the New York State Junior Classical League on April 18, from 1:00pm - 7:00pm. 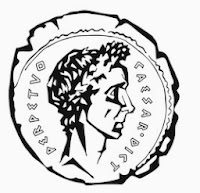 The total cost of the event will be $10.00 which includes the food (light dinner of pizza, salad, and drinks), awards, and participation in the Certamen Tournament. Reservations and money must be postmarked no later than April 10. Checks should be made payable to Pittsford Mendon High School. NYJCL nominations/elections for State Officers will be held at the very beginning of the event. Ballots will be cast during dinner and winners will be announced at the end of the awards assembly. Please click here to download the registration information. National Geographic has an amazing stop-motion video that shows how Trajan's Column may have been constructed. Fascinating! Thank you to CAES member Lynn Smith (Pittsford) for sending this our way. In this webinar Jill Crooker will focus on literal translation in terms of how it will be scored on the exam as well as how literal translation will be tested in multiple choice. Teachers are encouraged to use these scoring methods in their instruction of Latin from earliest years onward. If this is new to you, you can implement the practice in the final month before the exam. We will look at 1 Caesar passage & 1 Vergil passage and break each down into meaningful units. This should help students see how accurate they need to be in May. "Somehow it all worked. 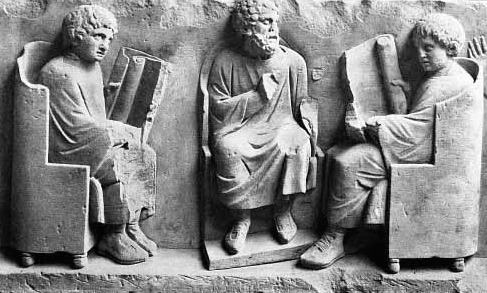 Students who had spent years at good schools and colleges, learning how to read thirty or forty lines of Latin at a time and looking up every word, found after a summer with Reginaldus that they could read the hardest Latin texts on sight—and not just read them, but translate them into English or paraphrase them in Latin, and hear their power and their melody, their wit and their scorn, as they did so. Reginaldus worked a kind of magic. He transformed Latin from a set of puzzles to be solved into something to be known, possessed and loved."